When presented with a problem, it’s in our nature to want to find a solution. Puzzle games provide us with an opportunity to have fun while also exercising our brain and improving our problem-solving skills. What’s makes this genre so great is the diverse amount of games that fall under the puzzle umbrella. 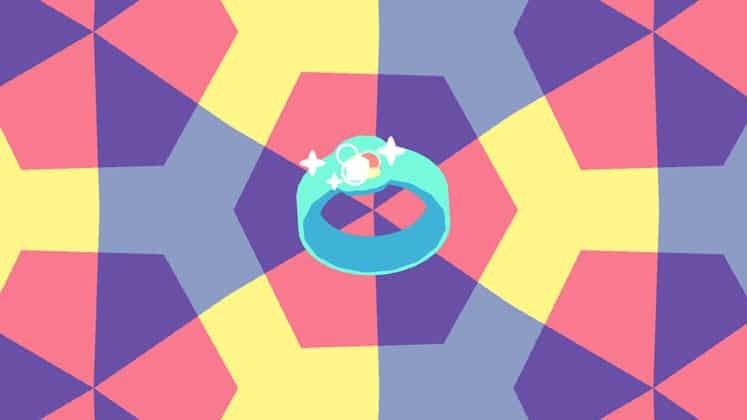 On one hand there’s tried-and-true titles like Tetris and Candy Crush, but also more recent experimental games like Mini Metro and Opus Magnum. With so many different games to choose from, deciding which one play can be a puzzle itself. So we’ve decided to highlight some of the best puzzle games out there. Make sure to check back as we’ll be updating this list in the future. 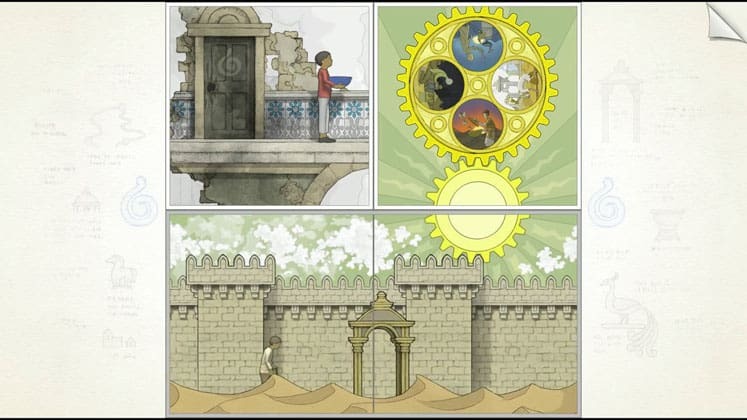 What initially started out as an idea for an interactive graphic novel eventually became Gorogoa, a puzzle game developed by Jason Roberts. The game has players combining up to four images on a 2×2 grid, finding connections between them in order to progress. Players can manipulate each image, such as zooming in or out, and discover interesting clues that can be used to find a solution for each scene. The game is depicted in a beautiful, hand-drawn art style and uses its puzzles to tell a story about a boy’s fascination with a divine creature. 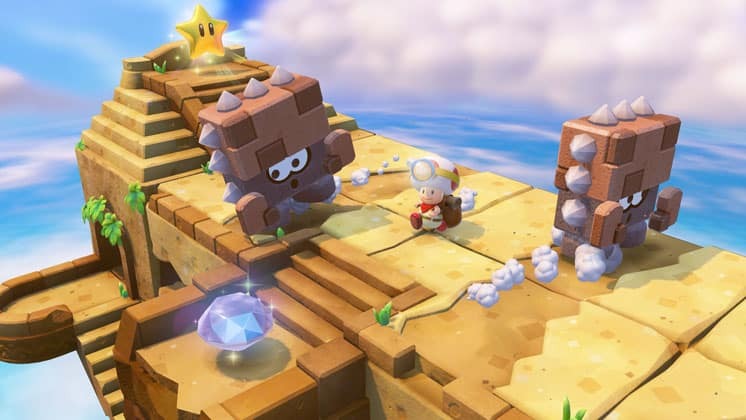 Captain Toad: Treasure Tracker was originally released on the Wii U, but has since been ported to Switch and 3DS, with newer versions including some quality of life improvements and additional content. In the game, you play as Captain Toad, a tiny explorer who can’t jump and is easily startled. In order to deal with Toad’s limited mobility, Treasure Tracker takes an interesting approach to incorporating verticality in its level’s puzzle designs that’s not normally seen in 3D platformers. While a standard playthrough can be achieved easily, completionists will have to strategize and put their puzzle skills to the test in order to find all of the game’s collectibles. 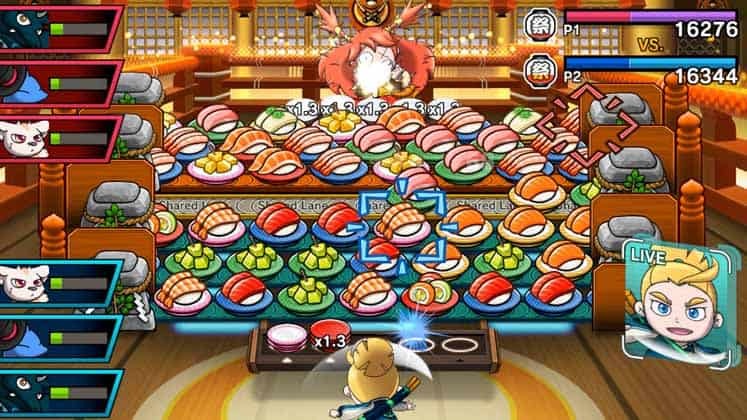 Sushi Striker is an action puzzle game developed and published by Nintendo in collaboration with indieszero. You play as Musashi, a boy who’s trying to put an end to a world-wide ban that forbids anyone from eating sushi. The game has you engaging in battles where you and an opponent face-off and try to gather as many same-colored sushi plates as you can from a moving conveyor belt. You’re able to deal damage to your opponent by eating sushi you’ve collected and can equip companions that trigger special effects during battle. Bomb Chicken is an indie 2D puzzle platformer that has you controlling a chicken that has the power to lay multiple bombs. You use this ability to solve the game’s many puzzles and defeat enemies as you try to escape a food processing plant run by an evil fast-food corporation. 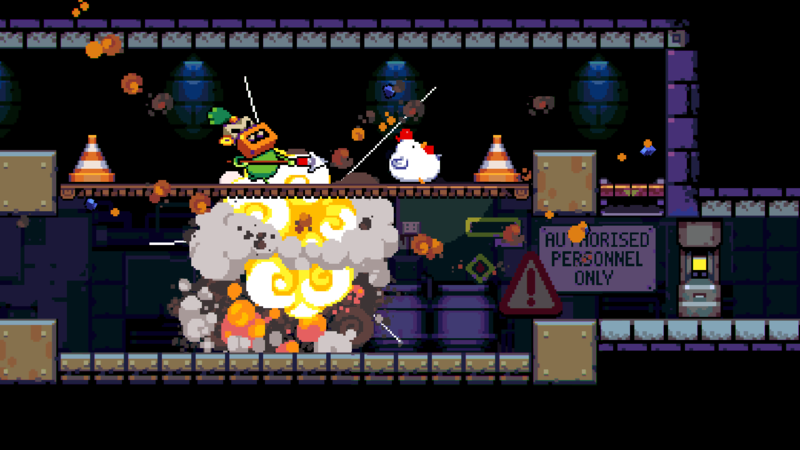 When laying eggs, players have the ability to stack multiple bombs on top of one another, allowing the chicken to reach new areas and create larger explosions. Additionally, pushing a bomb before it detonates sends it traveling in that direction, allowing you to activate switches or defeat enemies from a distance. Vignettes is a unique puzzle title from developer Skeleton Business that’s free of any text, characters, or dialogue. In it, you manipulate a variety of objects, rotating and looking at them from different perspectives until they begin to shape shift into a completely different object. As you transition between objects, the color palette and background music will evolve, making the entire experience feel like a constant journey moving forward. The game provides a more casual puzzle experience that doesn’t require too much thought, making it perfect for those long days when you just need to decompress. 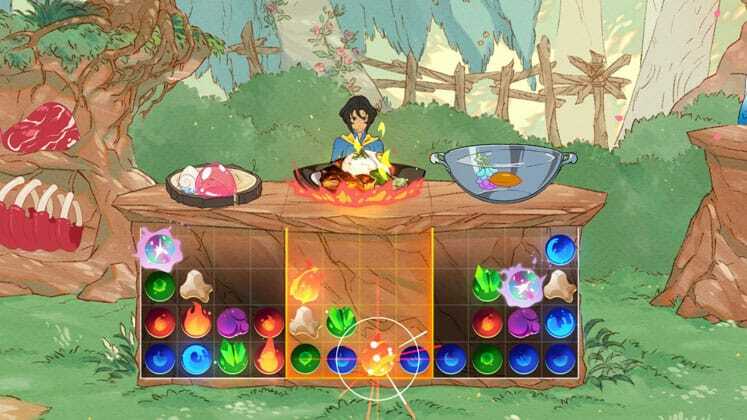 Battle Chef Brigade combines the action of side-scrolling brawlers with the strategy of tile-matching puzzle games to create a thrilling and addictive experience. The Adult Swim published game has you exploring outdoor environments and slaying exotic creatures to be used as ingredients in cook-off battles where you and another chef go head-to-head. During these battles, you match colored-tiles as well as any ingredients you’ve gathered to create a dish that’s sure to wow the judges. Battle Chef Brigade features a cast of talented voice actors and lighthearted, comedic storytelling. The Gardens Between is a puzzle game developed by The Voxel Agents that has you manipulating time in order to progress through its 20 stages. The game is unique in that you don’t control the main characters directly, and instead move time backwards and forwards, using their abilities in tandem to move past obstacles. While the game is rather short, completing levels reveals more about the main characters, two teens named Arina and Frendt. Over the course of the game you get to see their friendship evolve and an emotionally gripping narrative unravel. This list wouldn’t be complete without at least one Tetris entry. 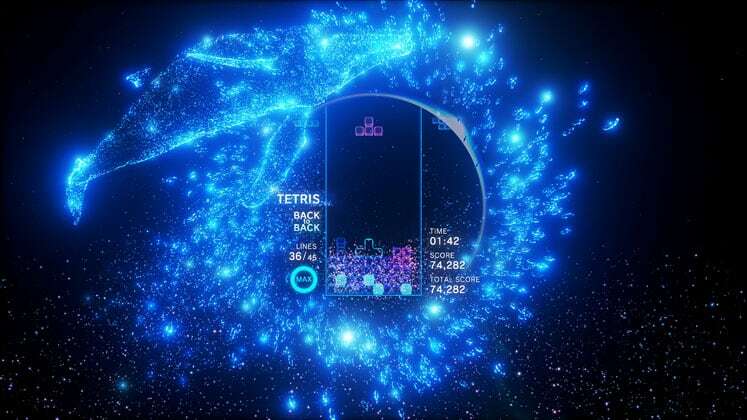 Although we’ve seen a great number of iterations on the formula over the years, none have ever set out to accomplish what Tetris Effect has, especially in its VR version. The game utilizes a number of different visual and auditory cues that correspond to your tetrominoes’ movement and placement. As you progress through challenges backgrounds and music begin to evolve and take on new shapes and sounds, transporting you to new worlds just waiting to be filled with tetrominoes. Lumines is a long-running puzzle series developed by Q Entertainment that was recently remastered for current gen consoles. 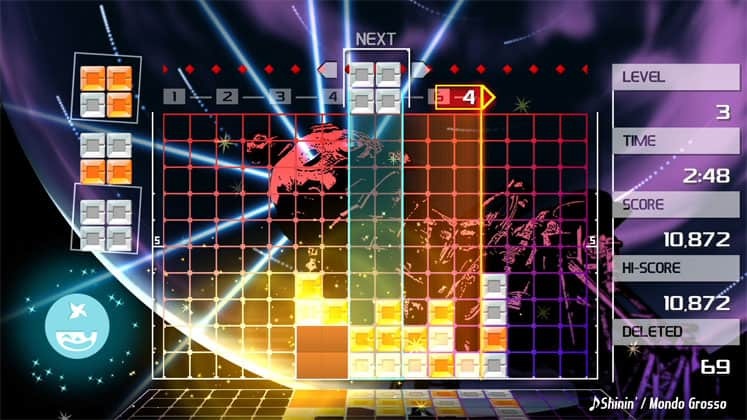 Lumines Remastered is an HD remake of the original Lumines that debuted on the PSP back in 2004 and features the same Tetris-inspired gameplay the series is known for. In the game, players drop 2×2 blocks that vary between two-colors onto a playing field while a time line travels across the field from left to right. The goal is to create 2×2 blocks of the same color which disappear when the time line passes it, granting the player points and increasing their overall score. Puyo Puyo Tetris is a crossover title developed by Sonic Team and published by Sega that looks to combine the best parts of both popular puzzle series into one game. In the game’s five main modes, which can all be played with up to four players online, locally, or against AI, players alternate between two gameplay styles: Puyo and Tetris. 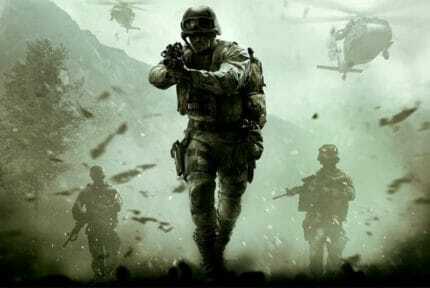 The game also features a single-player Adventure campaign that has you battling against AI controlled opponents and tackling mode-specific challenges. 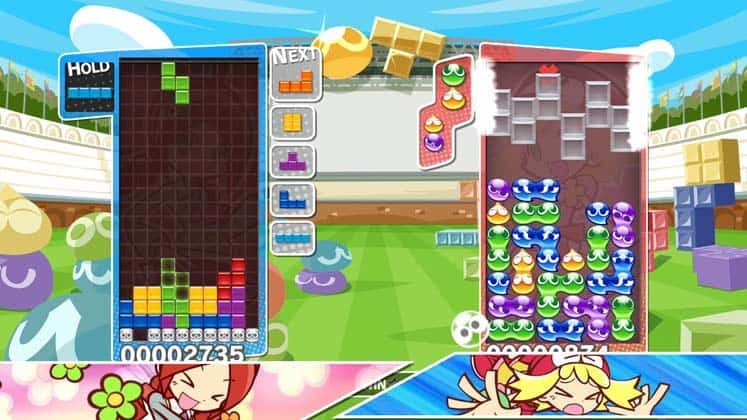 Lastly, Puyo Puyo Tetris allows you to create ‘Free Play’ matches with custom rule sets and challenge other players through online matchmaking. 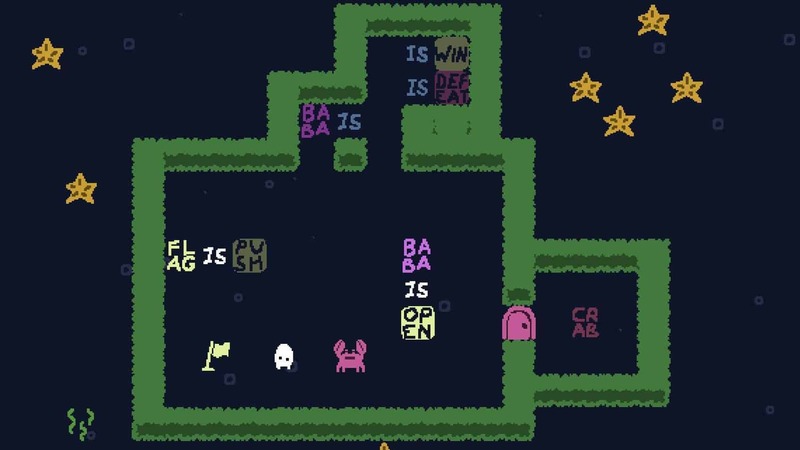 Baba Is You is a quirky top-down puzzle game where the rules you have to follow to complete a challenge are presented as physical objects in the game’s world. While controlling Baba, a small white creature, you can walk up to objects that dictate how the environment behaves. For example, you may encounter a solid wall that needs to be passed in order to collect a flag, with the words ‘Wall Is Stop” located nearby. Removing the word ‘Stop’ from the chain of objects will result in Baba being able to pass through and collect the flag. It’s an interesting mechanic that encourages experimentation and can lead to some surprising results. 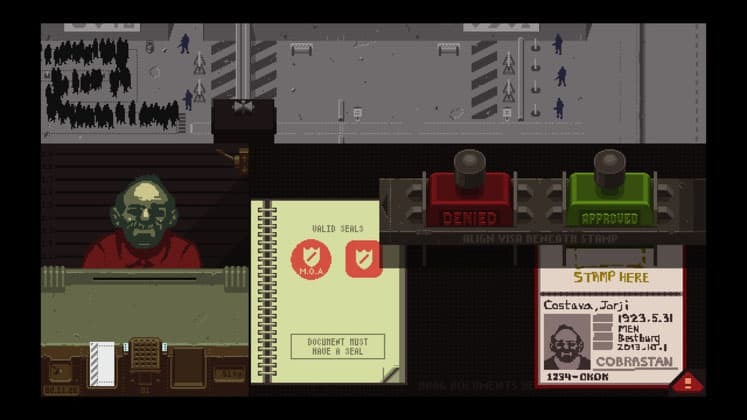 Papers, Please is an indie puzzle game that has you working as an immigrant inspector on the border of Arstotzka, a fictional nation that’s experiencing high levels of political tension with its neighboring countries. It’s your job to review applicants’ documents, taking note of any discrepancies in order to prevent or allow terrorists and other undesirables entry. As you progress through the game, new requirements become introduced, making it increasingly harder to identify illegal immigrants and undercover spies. Papers, Please has over 20 different scripted story endings and does an excellent job at presenting the player with tough, moral decisions. 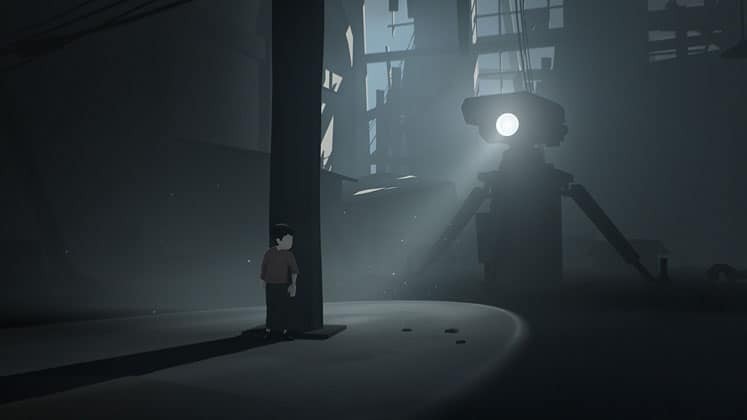 Inside is 2.5D puzzle platformer from developer Playdead, creators of Limbo. In it, you seize control of an unnamed boy and solve puzzles in an abnormally quiet and hostile world filled with zombie-like humans and vicious dogs. 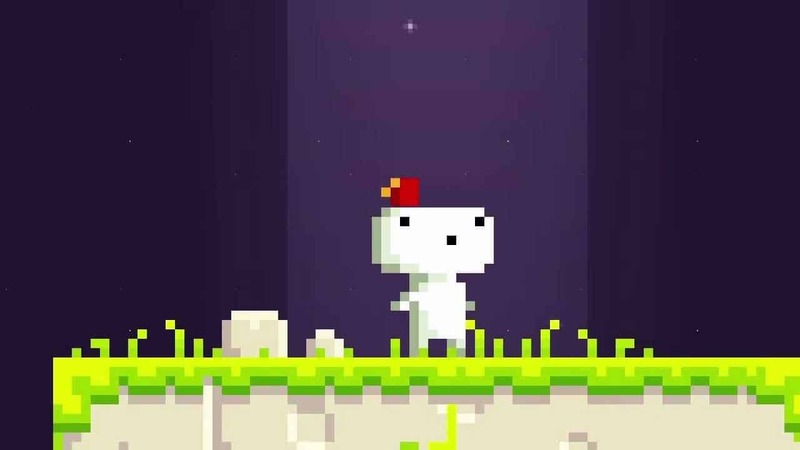 The game makes use of its platforming and puzzle mechanics in interesting ways, for example, there’s a cube-shaped device that can be pushed or pulled by the player in order to activate switches on the ground that also has the ability to temporarily launch the player into the air, allowing you to reach new areas. Just like with Limbo, the game’s story is never truly explained, and in some ways is a puzzle in of itself. Perspective is a unique puzzle platformer developed by a team of students from DigiPen University. The game has you controlling a small blue avatar through a 2D plane that can be altered by rotating the player-controlled camera in a 3D-space. Shifting the camera’s perspective allows the player to connect platforms in the 3D foreground with those in the 2D plane, creating new walkways that the character can use to progress through a level. This mechanic really puts your brain to work and encourages you to think outside of the box. 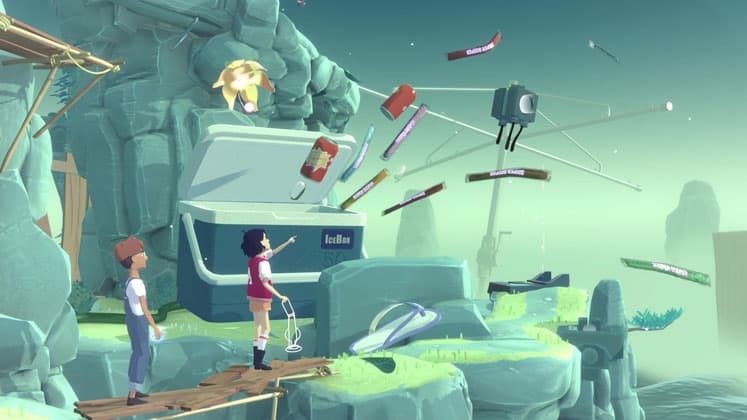 This wouldn’t be a great list if we didn’t include Portal 2, an iconic first-person puzzle game that’s still fun to play in 2019. 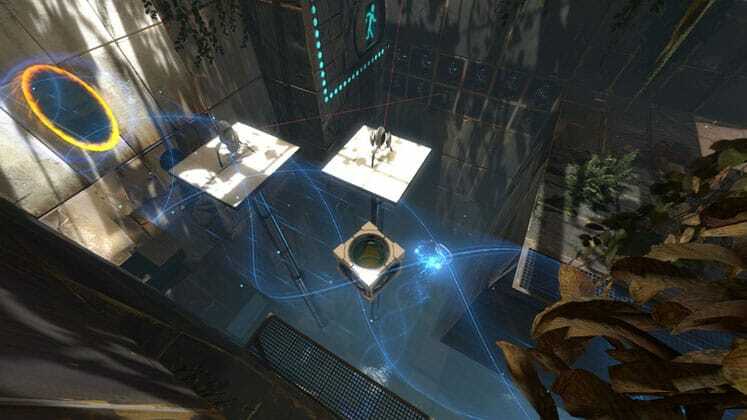 The game can be played in either single or two-player and has you and your human or AI-controlled teammate working together to solve puzzles. In order to progress through the game you’ll have to use your trusty portal gun, a device that allows you to place portals on surfaces that can teleport you to new areas. 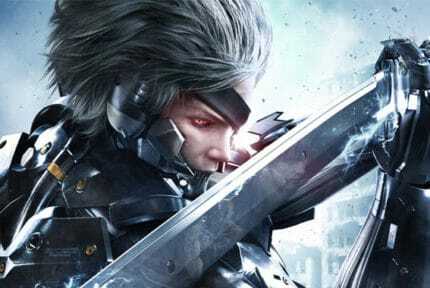 We’ve listed the sequel over the first game simply because of how much it builds on the original, introducing new mechanics and a telling a better story that’s filled with plenty of dark humor. 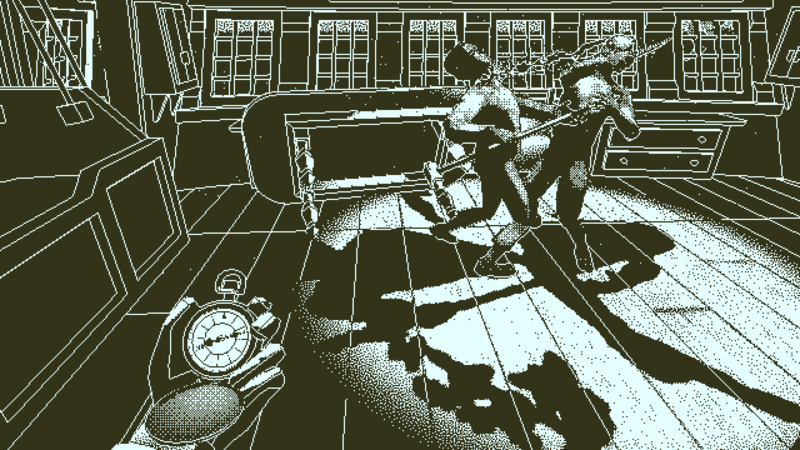 From the developer of Papers, Please comes Return of the Obra Dinn, a stand-out title for both its bold, 1-bit monochromatic art style as well as its ability to take you on an engaging, atmospheric puzzle adventure. You play as an insurance adjuster, tasked with determining how the crew of a mysterious ship met their demise. To complete this task, you’re given a “Memento Mortem”, a pocket-watch that replays the moments before a character’s death. The game offers little in terms of tutorials and hand-holding, encouraging you to make discovers on your own by paying close attention to clues you encounter along your journey. 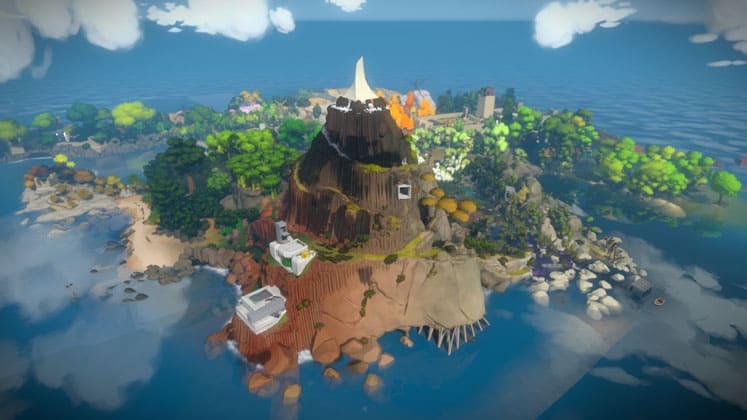 The Witness is a 3D puzzle game inspired by 90s puzzle adventure games like Myst. The game has you controlling an unnamed character, exploring a mysterious island that’s divided into eleven regions, and solving complex puzzles. The player’s goal is to keep solving puzzles, unlock new regions, and ultimately make it to the island’s mountain peak. However, this is no easy feat as The Witness features increasingly difficult puzzles that put the player’s abilities to the test. 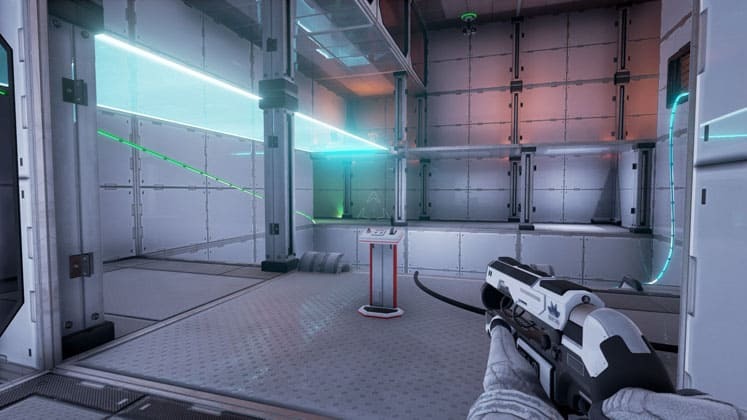 The Turing Test is a first-person puzzle game published by Square Enix. In it, you play as Ava, an International Space Agency engineer working in a research station on Europa who’s just learned that her crewmates are in danger and can only be rescued after she’s completed a series of tests. Gameplay has you using a special tool that can be used to open doors and power up machines, with later upgrades allowing you to control security cameras and robot drones. Turing Test’s visual and puzzle design feel reminiscent of the Portal series and its story takes some exciting twists by the game’s finale. 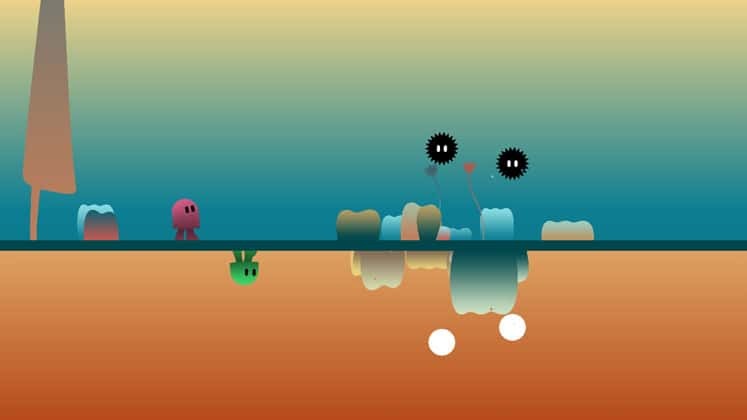 ibb & obb is an indie puzzle platformer that has players working together to defeat enemies and complete levels. In it, one player controls a green creature named ibb while another player controls a pink creature named obb. Together they travel through a colorful world that’s divided horizontally by a thin line, with both sides having objects and enemies inverted and gravity reversed. The game places a heavy emphasis on cooperation and features some of the best multiplayer puzzle designs we’ve ever seen. 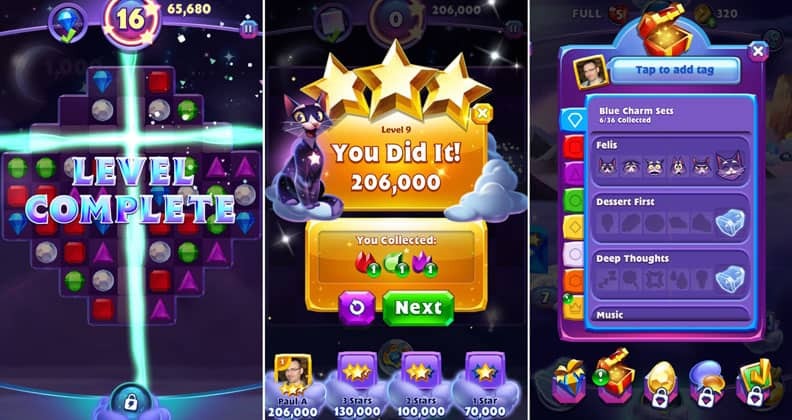 Although veteran puzzle fans may already be familiar with the Bejeweled games, the latest iteration from Popcap Games, Bejeweled Stars takes a more casual approach to the tile-matching gameplay the series is known for. Instead of being presented with a field of gems like in previous games, players are given smaller bite-sized levels which are given a rating at the end based on the player’s performance. Stars feels very much like a reaction to Candy Crush Saga, which managed to capture the attention of a lot of casual puzzle fans and still has a loyal playerbase to this day. Stars also introduces some charming characters that serve as motivation for the game’s story, including Felis the StarCat and Corvus the StormCrow, who need you to collect stars for them so that they may return to their home in the sky. 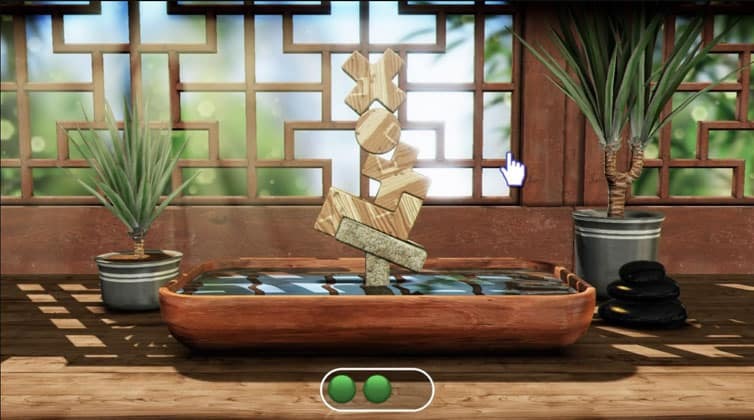 Art of Balance is a physics-based puzzle game developed and published by Shin’en Multimedia. If you’ve owned any of the last three generations of Nintendo consoles, then you’ve probably come across one version of the game, which has been updated as recently as 2018 with a version releasing on Nintendo Switch. 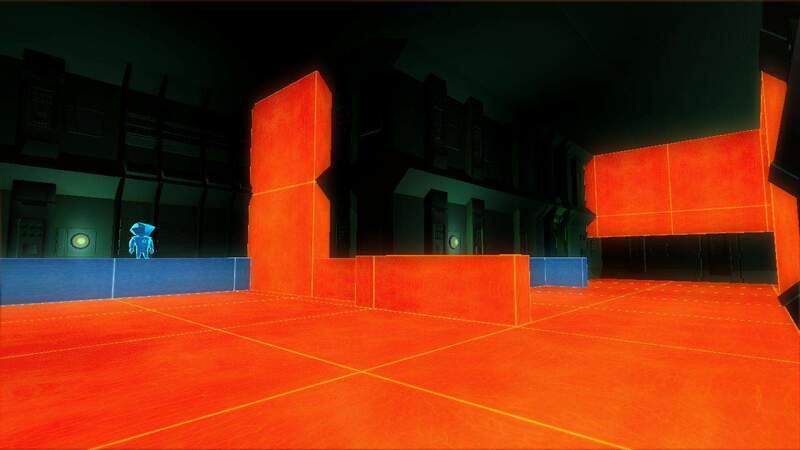 In the game, players attempt to stack a variety of blocks of all different shapes and sizes, with the goal being to keep the blocks from falling over. While more recent versions of Art of Balance feature prettier and more serene backgrounds, the game has always maintained the same relaxing core gameplay. Armadillo Run is a physics-based puzzle game created by Peter Stock that’s inspired by titles like Bridge Builder. 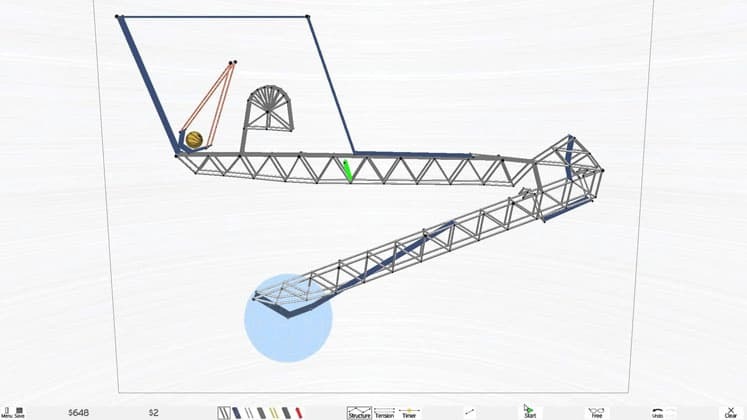 In it, players attempt to get a basketball to a blue goal by creating structures made out of various materials that look and behave like Rube Goldberg machines. The game encourages you to get creative with your designs by enforcing a strict budget on what kinds of materials or how many objects can be used in a given scenario. Additionally, Armadillo Run takes a more realistic approach in incorporating each material’s physics. For example, structures made with cloth will have a distinct weight to them and affect the ball’s movement in a different weight than metal.